How Technology Affects Doctor-Patient Relationship? Have you heard of “Cyberchondria”? It is the name given to a growing concern. The Internet has dramatically changed our lives, including the Doctor-Patient Relationship. Doctors are used as the main source of medical information. But that scene is changing due to the internet. The easy availability of medical information is not an issue;the real issue is the authenticity. There is no system introduced to check whether the information is reliable or not. Patients don’t check the source or authenticity of content,and a big chunk of online information isn’t regulated. The common user believes anything they read online.Such content misinforms patients, and unfortunately, their doctors have to deal with the confused masses. We agree that some doctors spend more time staring at a computer screen than looking at their patients. This interaction makes the appointment less personal. The Physician can encourage patients to visit them more if the doctor turns their screen towards patients and discuss what they researched to improve interaction. A computer can frustrate both patient or doctor depending on whose (and how they are) using it. But patients need to understand that the doctors are obliged to use a computer for documentation, billing and record keeping. It helps them do their job, they don’t use it in front of the patient for social media, or to pass the time. 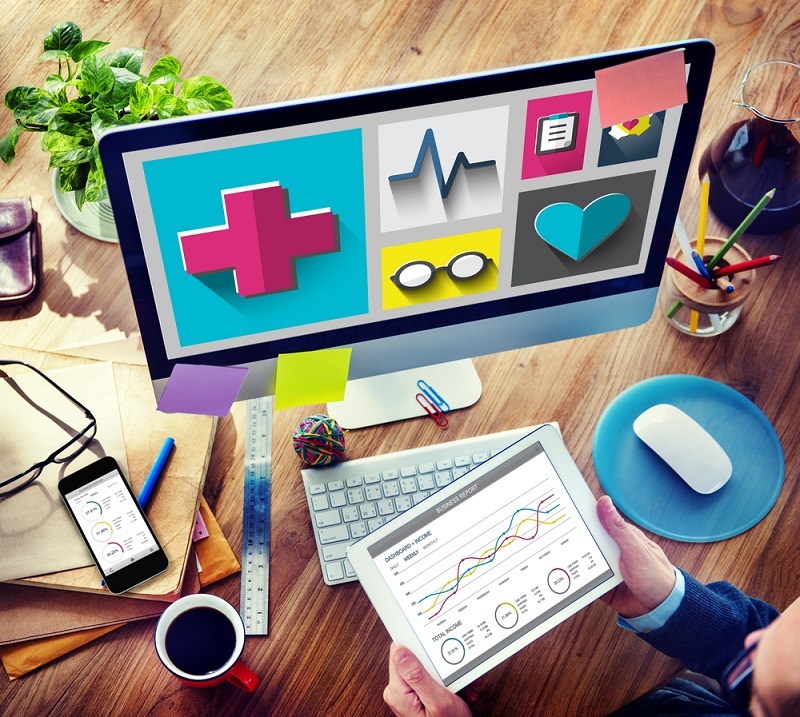 The medical industry observes how the internet changed the way we live. Therefore, they are accepting its role and are using it to change how they operate. Doctors now work with their patients through online appointments. These sessions help their patients receive treatment anywhere anytime according to their convenience. According to Maple an online doctor maintains the patient bond by changing the way they work and improve the user experience. Smartphones are a marvel of technology; these pocket-sized computers can work wonders. However, they are berated continuously because they have created distances instead of eliminating it. A family goes out for dinner. The family orders food and after the server leaves, what do they do? Instead of conversing with each other, everyone looks down onto their smartphone screens. They are busy talking with people who are not there. The same behavior exists everywhere, and unfortunately in clinics. Patients often are invested in their phones and forget to pay attention to the doctor. This bad behavior forced such organizations to put anti-smartphone signs to discourage people from using these devices in front of the professionals. The problem is not about the “device,”the problem is that how it is being used. Smartphones do have some great health apps.But we are afraid they are not in their full potential. If used properly as a health hub, they can be used to capture vital data including the heartbeat rate, blood pressure, brain waves, glucose rate and other important data. Smartphones can also help with ultrasound and X-Ray. While most Doctors don’t favor this trend, some forward-thinking physician praises the opportunities internet offer to help Doctor-Patient relationship. If patients show a sense of responsibility, they can help share the responsibility for their medical care. A recent poll found that patients most ask informed questions but are less likely to follow the prescribed treatment. There is a way a doctor can influence this negating trend positively. For starters, they can prescribe info just like medicine. If you are not satisfied with the internet search results, make an appointment and see a health care provider.